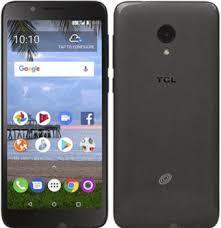 This new edition of Alcatel LX (TCL LX) is known for the slogan, straight talk. It is perhaps one of the cheapest Android smartphones I know which comes with 4G internet network. It was announced and released in the month of November 2018. It appears to be very basic, yet carries features that more expensive smartphones lack. It seems that the manufacturer was very interested in giving the users of Alcatel LX everything they need at a ridiculous price. Read on to learn about the makeup of Alcatel LX. We shall examine price, design, display, camera, network, battery, storage features and more. The body design of the smartphone is mainly plastic. Dimensions are 148.1 x 69.6 x 9.4 mm and it weighs 152 grams. It comes only in black color for now. It is not a water resistant device; it does not have a secondary display, no face recognition technology. Display type is IPS LCD capacitive touch screen and the screen size is 5.34 inches. It has multi-touch capacity, and pixel density is 201 ppi. Pixel resolution is 960 x 480 pixels of 16 million colors, and aspect ratio is 18:9. The screen to body ratio is 71.6 percent. At the camera department is a single main camera of 8 MP f/2.0 aperture, 1.12-micron pixel size and it comes with LED flash. At the front is 2 MP. This front camera is with LED flash as well. The video performance is put at 720p@30fps. Other camera features include geotagging, auto focus, HDR, touch focus, face detection, time-lapse and panorama. Android OS v8.1 Oreo is powering the device as the operating software. Surely, this must upgrade to the latest Android 9 Pie. In support, there is MediaTek MT6739WM chipset, with process technology 28nm. 1.1 GHz Quad-core Cortex A53 CPU reigns supreme in the device, and the GPU is PowerVR GE8100. The internal memory found in smartphone is 2GB which cannot be increased. Furthermore, the internal storage of 16GB can be increased up to 32GB with the use of a microSD card. Sensors in the device are limited to accelerometer, proximity, and ambient light. Network and connectivity capacity of the device is diverse. There are 2G, 3G, and 4G for the device. This means that the smartphone supported networks are GSM, HSPA, and LTE. In addition to that, there is a single Nano SIM card slot in-built for the Alcatel LX. Connectivity components include Bluetooth v4.1, Wi-Fi, mobile hotspot, GPS, A-GPS, headphone jack and microUSB 2.0. However, there is no HDMI, infrared, or NFC in this device. It is a Li-Ion 2460 mAh non-removable battery. Talk time is up to 20 hours but 9 hours on 4G. Standby time is up to 547 hours. There is no wireless or fast charging technology for this smartphone. The official price of Alcatel LX is $39.99 USD and this should be the best price even online. However, we can guarantee that you will get in at various sales locations. 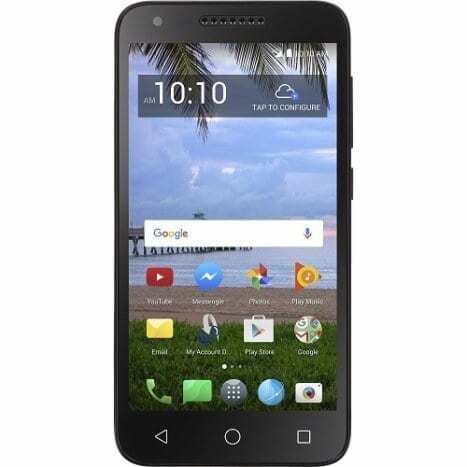 For availability, the Alcatel LX is available, having been released in the month of November 2018.